American Sign Language students from Elwood-John H. Glenn High School in the Elwood Union Free School District recently volunteered their time at the Mill Neck Manor School for the Deaf’s annual Fall Festival. After working in the packing and delivering station at the festival, the students raised $220 in tips. These funds were then donated back to the Mill Neck Manor School for the Deaf. ASL students from Elwood-John H. Glenn have performed this annual labor of love for the past nine years and will continue to do so in the years to come. 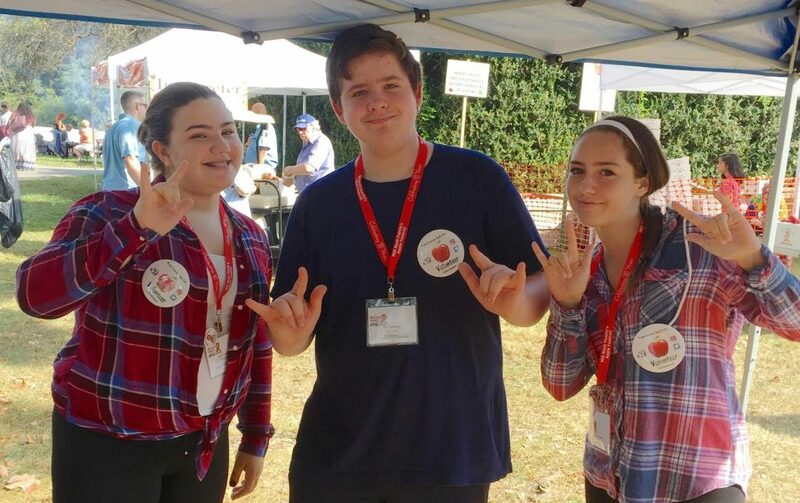 Photo Caption: Elwood-John H. Glenn High School American Sign Language students Tori DiDiego, Ryan Boody and Kaelyn Colantuono spreading “love” at the Mill Neck Manor School for the Deaf’s annual Fall Festival.